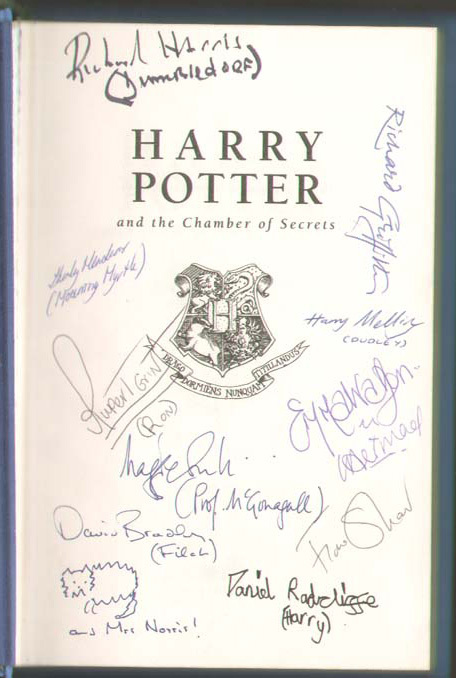 The most frequently asked general autograph questions you will find all answered in our Advice section. This Advice section answers questions on: Dealers / Certificates / Ebay / Where Best To Buy / What To Look For and The Beatles. We no longer offer a free advice service to unknown customers, but remain happy to do so for the longterm customers on our mailing list. Having happily provided this service for many years, we feel inline with other professional dealers, that too many had begun to take advantage of our goodwill without sufficient thanks or appreciation. 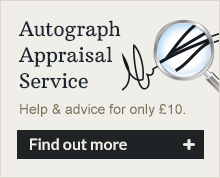 For those of you with a more specific detailed enquiry not answered in our Advice section, you can access our Autograph Appraisal & Advice Service which can be obtained for a small £10 pounds charge.